Online sales accounted for 11.7% ($394.9 billion USD) of total retail sales last year, according to the U.S. Department of Commerce. With this move to online, having an ecommerce presence is no longer innovative enough to win you sales. Attracting new ones by meeting them when and where they shop. To help drive that growth, online brands need to think about their consumer and that individual’s buying journey. One way to model the consumer journey is through a funnel, starting at the top with awareness and going through to an ultimate, final action — a purchase. Though a consumer’s journey through the funnel is not linear, it provides businesses with a strategic framework from which to build out a plan. Below are the four stages to the funnel, what the goals of each stage are and examples for bringing those stages to life. 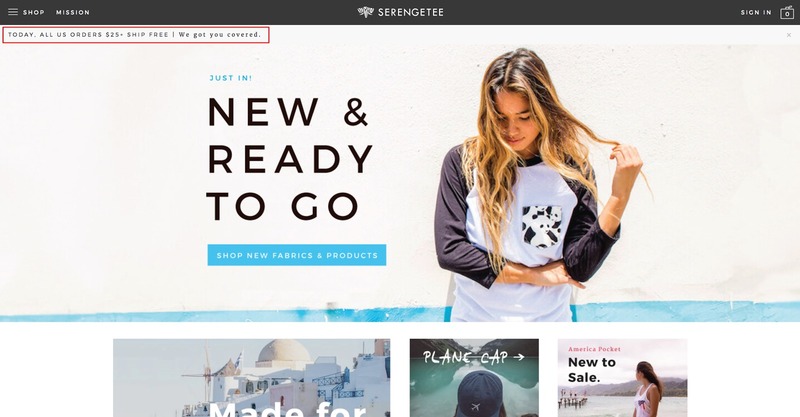 In all, we’ve brought you 21 examples showing you exactly how other online brands are building their funnel –– and how you can, too. “I have almost doubled my internet sales using only 3 points from this workshop. Plus, I do zero paid marketing. That story can be yours, too. Register now. What it is: The “top of funnel” is the first stage in the sales funnel; it’s the awareness stage. When it matters: This is where potential customers become aware of your business and offerings (e.g. a product or a service) and how it may solve a pain point. Keep in mind: The potential customer may not even know they have a problem that you could solve. Therefore, the goal of this stage in the funnel is to make the potential customer aware by focusing on content — or information — that identifies consumer segments, highlights a potential problem and introduces your brand. Think of the awareness stage as an initial conversation between you and the potential customer. You both are getting to know each, with the potential customer demonstrating some interest. Introduce yourself. Do not try to make a hard sell. In practice, this can take many forms. If you’re an ecommerce B2C brand selling razor blades, for instance, your initial interaction with the potential customer could take the form of content that tries to draw people into the brand’s website or community. Take a look at Dorco’s Shave Talks content site, for example. The brand isn’t hard selling their razors. Instead, the goal is to education –– bring the customer along to journey to begin to think they may need a different razor. That’s always the first step. Look at a few of the examples they are using to really hit on pain points potential customers may be having, and then educating them on how to solve for those. The goal is to become a valuable resource for people looking for solutions – which Dorco happens to have. The goal –– again –– is to give value long before the brand gets anything in return. In general, this content provides information that the customer may find valuable. It may even solve a problem — whether they knew it beforehand or not — that they have. Again, this content in the awareness stage does not attempt to sell anything. Likewise, a B2B brand needs to offer up similar content that tries to be a valuable resource and not a hard sell. In the case of the B2B brand, though, your content might be very specific to a particular audience — the C-suite, product managers, marketers, etc. — and it may offer up more thought leadership and technical content. 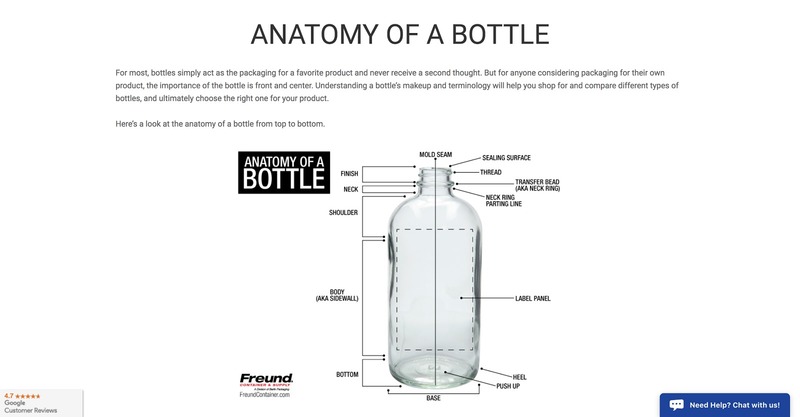 Freund Container is a great example of this. This B2B brand provides valuable content resources to prospective buyers, getting down and dirty in the details to educate customers. Here’s a 3 step walk through of some of their helpful content in the awareness stage (which is also good for SEO!). Driving awareness of your brand is not just about content, though. Whether the potential customer is searching for a product (e.g., razor blades for men) or trying to find a solution to a problem they have (e.g., eliminating ingrown hairs), they will likely do an online search. Be one of the first batch of results that populate the search results. According to Ignite Visibility, a digital marketing firm, position 1 on Google receives a 44.64% click-through rate. That number drops to 28.92 percent for the result in position 2, and 17.26 percent for the result in position 10. As you can see, by having a well-honed search engine optimization (SEO) and search engine marketing (SEM) strategy, you can increase your chances of catching your customer’s eye. Dorco’s SEM strategy is strong given the competitive market – allowing it to rank #2 in the ad placements. Similarly, it’s men’s shaving category page ranks #3 on Google for a high traffic, very brand-relevant keyword. Google uses a handful of barometers to gauge which sites it delivers to searchers, including site speed, relevance and mobile-readiness. Above, you’ll see Ahrefs pulls in Domain Ranking as well –– showing that one quick fix Dorco could make is increasing its DR.
You do that by getting more links from other sites with high DR. Here are three things you can do to help boost your brand’s Google search engine ranking. Improve site speed by using the HTTP/2 network protocol by accepting multiple concurrent requests and therefore reduce dormancy. Faster speed can also be achieved by limiting 404 errors, too many redirects and orphaned pages. Shift your focus from content quantity to content quality. Previously, Google rewarded sites for their breadth of content. No more. Today, sites with well-researched, organized content, with an emphasis on multi-media, are in favor. Why? Because backlinks matter (as you can see in the Ahrefs chart above). And you only get backlinks from quality sites when you publish quality content. Make sure your site is mobile-optimized. How long someone stays on your site and what they do there (click, for instance) matters. Google reads this as engagement, and the more engagement you have, the higher you rank. Why? Because engagement indicates that they content is answering the query the user input. If your site isn’t mobile-optimized, folks won’t stay on your site long and Google will lower your ranking. Here are a few next steps your brand can take to increase your search results ranking and drive increased awareness stage traffic. 1. Write long-form, educational content including video and/or downloadables. Google measures engagement on a page, and anything that gets someone to click counts. A good way to do this is via a lookbook or on-site magazine, which requires –– you guessed it –– clicking! Check out LEMS’ below (or the version on the site here). Or Natori’s here (or the site version here). 2. Create educational videos about your brand and why you started. Use those in blog posts and on your homepage –– as well as in Facebook ads. Many brands do this well –– both using videos to tell the brand’s story and advertising that on Facebook to drive fans and conversions. 3. Create short, educational videos or visual content that showcase your product. Use those to advertise on Facebook and in blog posts to drive traffic. 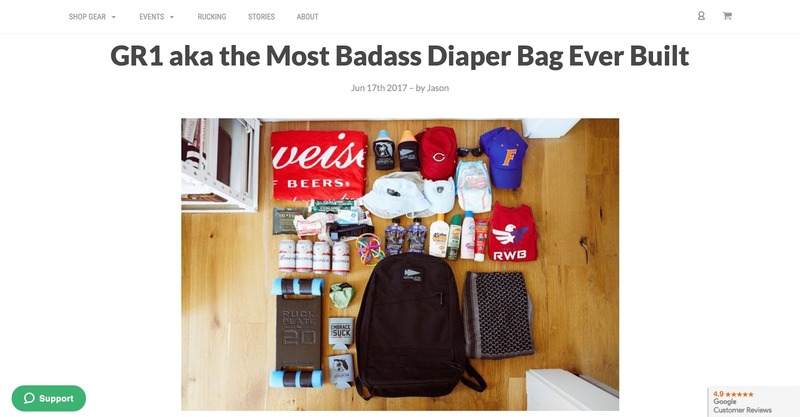 See how GoRuck makes this work with their visual blog content. Here is another great example from Renogy. They sell B2C solar panels – and must do a lot of leg work to educate customers on why they need them, how they are made and their long-term value. They use tons of content, calculators and more to do this – as well as this video. 4. Create tools to help educate consumers and build trust with your brand. 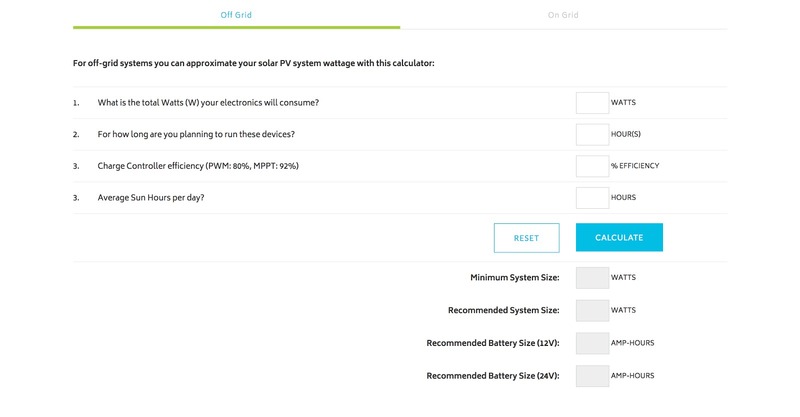 Speaking of Renogy and the calculators they have created, these are great examples of tools to help educate your audience. Tools like these help potential new customers dive deeper into the benefits and bring them closer to the purchasing phase. Plus, they generate high SEO value due to the engagement that occurs on the page. Let’s look at another example – well, 2 – from NaturallyCurly.com. NaturallyCurly uses tools to educate those with curly hair on their type and what to expect in the coming days. They do this with two tools (and push their product through them as well). First, the Texture Quiz – which lets people know what type of curly hair they have (and the products that go best with it). They also have a Frizz Forecast that allows folks to drop in their zip code and will show them their hair forecast for the next few days. Editor’s note: mine is *always* frizzy. The perils of living in Austin, Texas. Here’s the full page. What it is: The second stage of the sales funnel is the “interest” phase. When it matters: When a potential customer moves into this stage of the funnel, it means they are interested in your brand’s story or the pain point you may be solving. They are, well, interested in learning more. Keep in mind: Just because a potential customer is aware of a brand and its products and/or services, it doesn’t mean that the potential customer has an interest. It may just be bad timing for some. For others, there can be varying lengths of “awareness” that stretch out over days, weeks, months, and so on. Or, there will be those you might not be able to interest at all. This is to be expected. Each customer is different, and each moves (or doesn’t) through the funnel at their own pace. When the potential customer does move into the interest stage, it takes the form of making further initial contact. if you have a social media presence, they connect. The interest stage is a way for the potential customer to engage further with your brand to see what you have to offer, still without the hard sell. Let’s go back to our NaturallyCurly example. 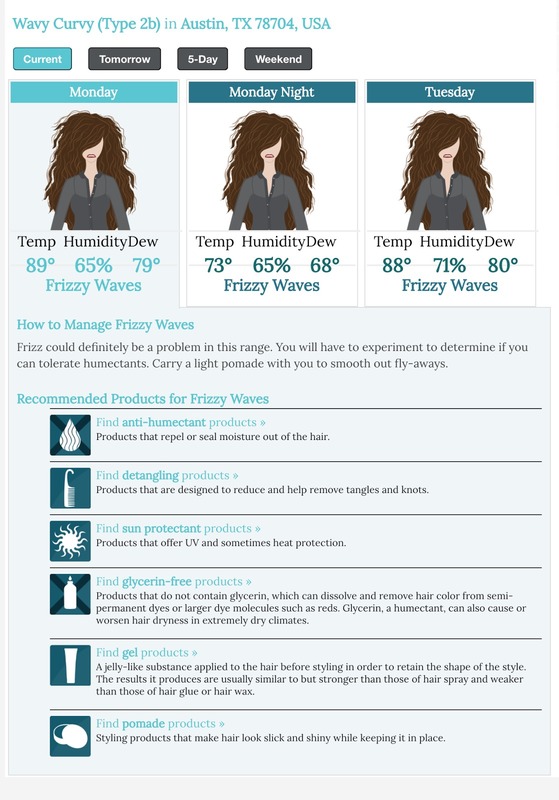 A tool like the Frizz Forecast is a chance to connect their content to their product. The potential customer uses the tool, sees the forecast and then immediately gets product recommendations that can solve for their immediate needs. Beyond that obvious connection, the interest stage in the funnel is a chance for the potential customer to essentially window shop. Your visitor needs to know where to go, how to get there and what to do. 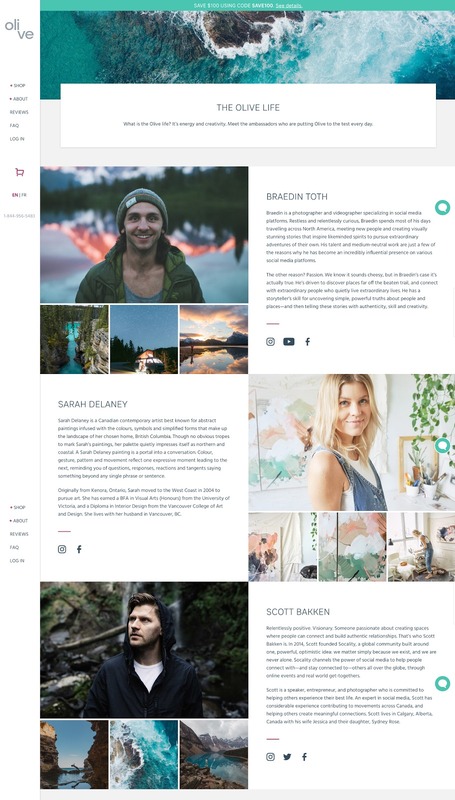 A header that travels with him to allow him to toggle between pages will keep him on the site longer. Help by including filters that allow him or her to scale down the products he sees on each page to a list that speaks to what he is looking for, and buttons that allow him to quickly make a purchase. This is called faceted search. Here’s a great example from online boutique YALA, where you can clearly see the cookie trail of the page you are on, have access to faceted search and can filter based on additional preferences. 2. Integrate social media into your site. Include links to your Facebook, Instagram and Twitter accounts, to ensure that potential customers have a way of connecting with you, and you with them, on the platforms they use most. Olive Mattress does this in a really cool and innovative way. First, they include their social media accounts in the footer of the site so that they show up on every single page. This makes their social media accounts easy to find, but not interruptive of the shopping experience. Then, they also include social media links out to the founders on the About Us pages. This allows folks to follow and interact with the founders themselves. Because buying a mattress is a high cost purchase – and people often want to be able to talk to the retailer about it. On site customer service chats can help – but so can social media, where people already are. 3. Provide an offer and have clear calls to action. In exchange for his or her email, give your visitor an offer for a discount off a first purchase, or bonus item upon a certain spend. This will reel him in and provide a way for you to reach our after he has left the site. 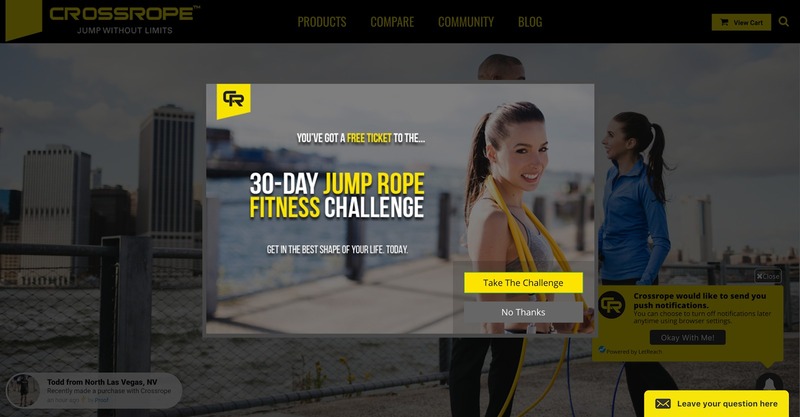 Crossrope does this well by on inviting members to a 30-day fitness challenge, and using pop-up social proof to show others joining in. 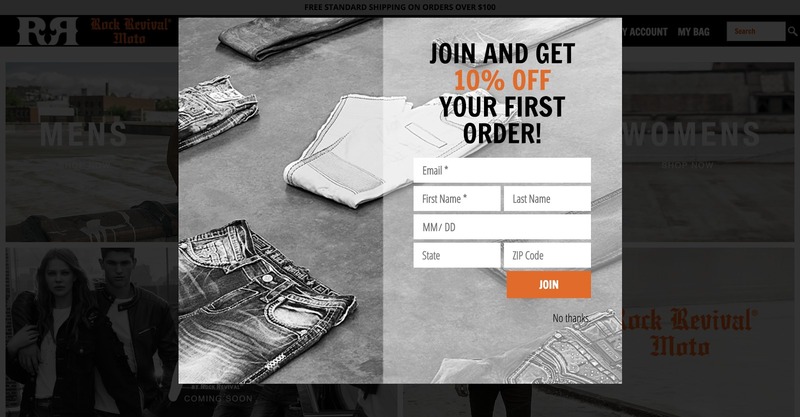 Using a pop-up offer when someone lands on the page, they then push you to a landing page (this allows them to advertise this page across the web, rather than relying on the pop-up alone) to gather an email address. Step 1. See the site here. Step 2. See the full page here. You can also choose to eliminate the landing page potion, and nab email addresses with a discount. Rock Revival does this well. What it is: The third stage in the funnel is the “decision” stage. When it matters: Here, the consumer has moved beyond browsing products and solutions to contemplating a purchase. In this stage, your job as the brand is to convince the consumer of the value of the actual product or service. Here are three tactics to help demonstrate product/service value to the consumer and help move them to a purchase decision. 1. Provide clear, compelling product descriptions. When your shopper can’t touch the pair of jeans he is eyeing or hold them up to his legs to gauge their fit, he is forced to rely on the information you provide him. Using bullet points and high-resolution visuals to display this information in an easy-to-digest format. Yumi does this well with a pop-out sizing chart for all of their products. 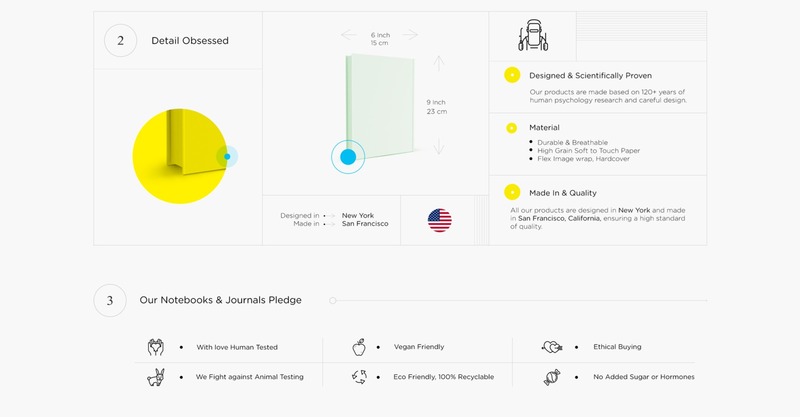 Beatific, the seller of a paper journal, also does this well, calling out the product’s specific build and materials. This helps buyers understand why *this* journal over others. 2. Online shoppers trust peer reviews. Be sure to include those online reviews on your site. Make the experience a valuable one for potential customers by providing written reviews rather than a star system only, and make the time to keep on top of the reviews coming in and reply to valid complaints promptly and professionally. See below how Enertion Board assures customers that product reviews are real and verified – to add additional social proof for the purchase. 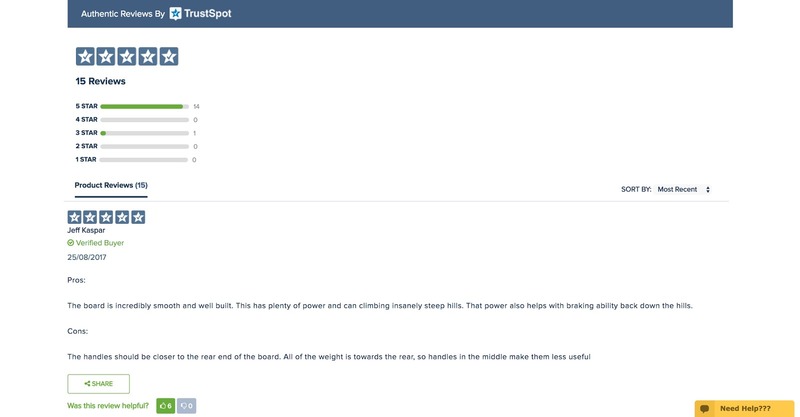 Here’s another example from TrainingMask.com. Perks such as free shipping, relevant discounts, and easy returns can both make buying seamless, get customers into follow through on their purchase and entice them to buy from you again. This helps to increase engagement with a promotion by using a psychological trigger. What it is: The fourth, and final, stage in the sales funnel is the “action” stage. When it matters: Once a consumer has made their decision to purchase, they need a final push to action — making that purchase from your ecommerce site. Keep in mind: One way to ensure the consumer takes action on your site is by focusing on a frictionless purchasing experience. Here are 4 tips to help improve the online checkout experience. 1. Use predictive entry to auto-populate fields. 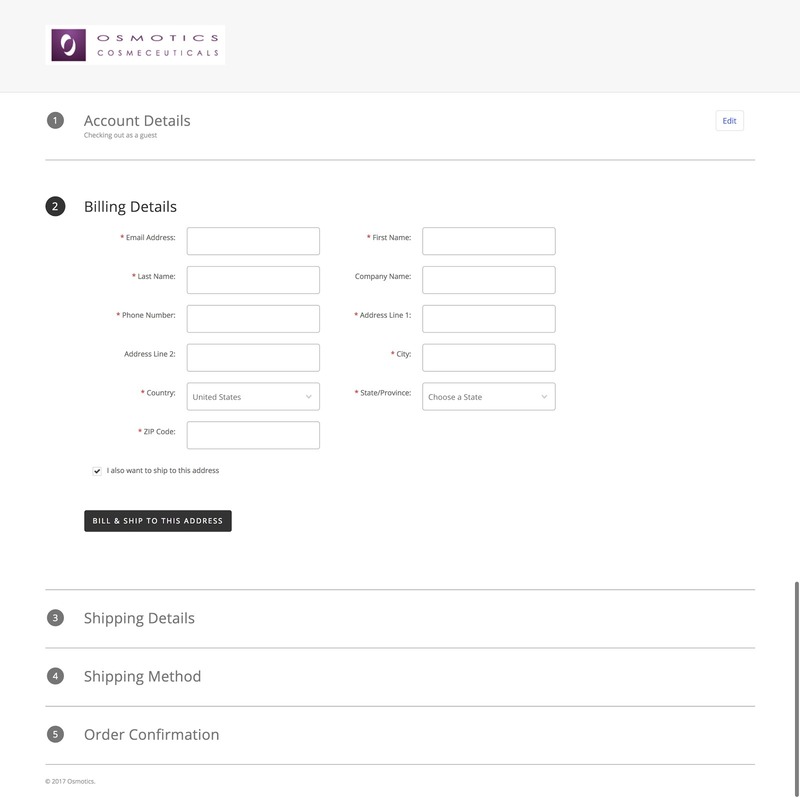 Help your customer save time at checkout by allowing him to create an account which will fill in transactional fields such as shipping and billing addresses, saving him precious minutes and getting him to the “Buy Now” button faster. Many customers’ computers will do this for them –– as you can see in the example below. One-click technology via digital wallets can also alleviate this pain point. These keep users up to speed on what part of the checkout process they are in, and keep your customers’ baskets in full view throughout the checkout process so they are less inclined to move away from the transaction to check cost, size, and other specifications. This is particularly important is you are not using a one-page checkout. In the example above, you can see the hover price, product, shipping and tax indicators. On multi-page checkouts, you want to ensure you are using progress indicators to move customers long. A good way to do this is my sandwiching next steps and expectations for a customer on a single page. Your ecommerce platform should be able to do this for you out of the box. Here’s an example for Osmotics Cosmeceuticals. 2. Make customers aware of your site’s security. Educate consumers on the security measures of your website to let them know that their personal and payments information is well guarded. With high-profile data breaches announced in the news, this could help alleviate concerns during uncertain times. A good place to do this is in your footer –– which will remain persistent throughout your site and continue to security message. Here’s an example from NextAge Mississippi’s product page. 3. Accept all forms of payment. With the myriad of ways to pay, it’s crucial to meet the preferences of your customers by offering acceptance of all card types. Your customer might carry multiple cards for different purposes. Likewise, this includes integrating digital payments into your checkout experience. For example, explore accepting digital wallets such as Android Pay, Apple Pay, Amazon Pay and Samsung Pay. In all, an understanding and proper use of the sales funnel can help fuel and increase your online sales. Think about your customer, and think about how you can facilitate each stage of their buying journey. Build awareness by offering value. Optimize your content offerings for SEO and paid social to drive traffic. Create tools to solve potential customer pinpoints and win hearts and minds. Use data from tools and on-site engagement to push potential customers to the products most helpful for their needs. 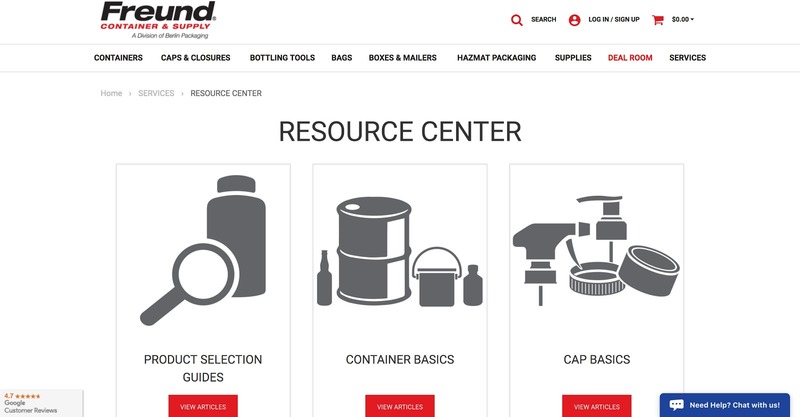 Setup on-site navigation to allow customers to find what they need quickly and easily. A/B test content, calls to action and advertising copy to see which messages and offers engage the most. Use security seals to prove site security. Offer perks like free shipping or promotions to make the offer sweeter. Use predictive entry to auto-populate fields to make checkout easier. And that’s it! For a walk through of exactly how to set this up on BigCommerce – checkout our workshop below.